Popular venues are always looking for new ways to attract patrons, and increase their time spent in the venue. Phone charging services are now setting a new standard for venues, working as a great way to modernise a space, keep customers connected and posting on social media, and encouraging them to stick around to buy another drink. Rileys can be found on the wall of bars all over Australia. Just plug in for that extra power you need. Walker or Devonshire discs are often handed out from behind the bar, just let a staff member know your battery is low, and start enjoying the most convenient service there is. Chargesafes can be found anywhere, from busy nightclubs to local haunts. Just lock your phone away, safe in the knowledge that it’s secure and charging for 30 to 90 minutes. 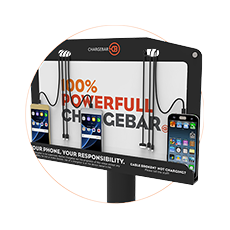 Bars, Clubs, and Late Night Venues across Australia have been providing phone charging services, thanks to Chargebar, since 2011. Keeping powered on is so important when out and about, to post on social media, call or message friends, top up your Opal card, or call an Uber. 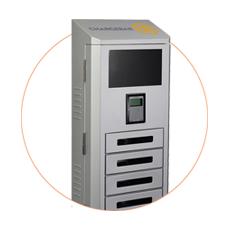 The Chargesafe was launched as the perfect solution for late night venues. Providing a secure charge for 30 minutes for a small fee. This innovative service keeps customers in a venue, and attracts others in as well. 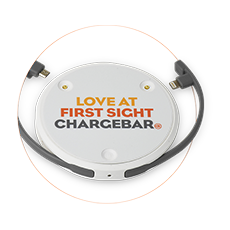 Pick a Chargebar to go with the vibe of your venue. If you’re a small, hipster cocktail bar with seating for 20, a Chargesafe probably isn’t for you. Check out the Cleveland, a portable solution that provides the most convenient service possible, taking up barely any space. However, if you’re a 3 floor bar with thousands of visitors on a Saturday night, you probably don’t want to keep track of 6 portable charging banks, the Chargesafe or the Riley would be perfect as a self-service solution. Where is the busiest spot? Usually, the bar is the most consistently busy area of a pub (we did some research on Chargesafe usage! ), so placing a phone charging station here is the perfect way to make sure everyone is aware of the service. However, maybe you don’t want to crowd that area to interfere with people buying drinks, so having a nice Riley LED on a wall in the same room will provide a great service, without crowding that spot. How busy if your venue? If you’re the sort of venue that’ll have hundreds of battery-hungry customers searching for a charging station every night, you’ll need some sturdy cables to match this. Check out our new Kevlar cables to make sure your units can withstand a Saturday night!